Massive thanks to Dundee Tesco stores Bags of Help grant, especially Tesco staff, Ruby and Keith. 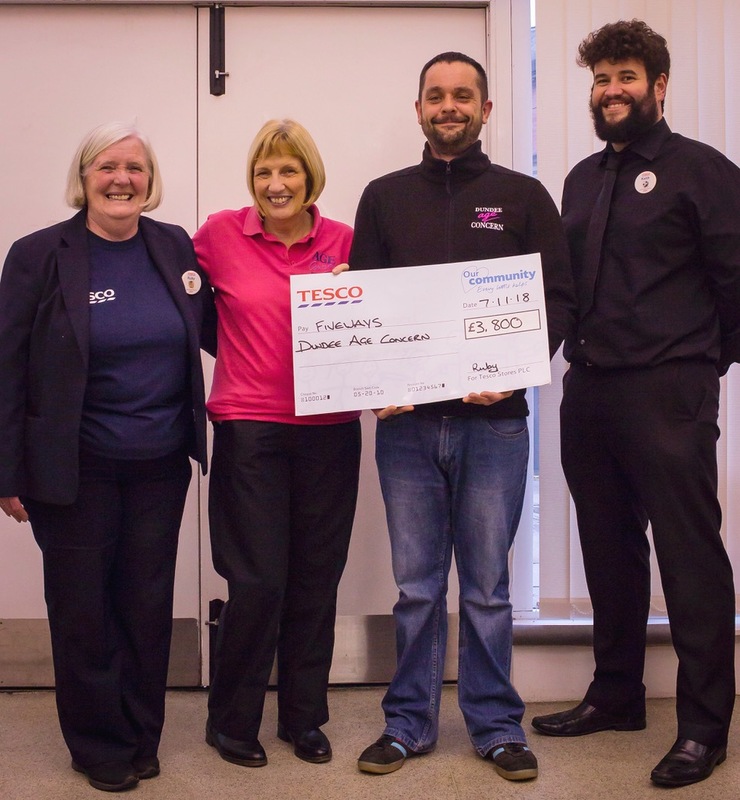 Thank you to Tesco customers who nominated Fiveways Day Centre, Dundee Age Concern. We are a self funding, non-profit making charitable organisation and this generous grant of £3,800 helps us to offer support to our clients. 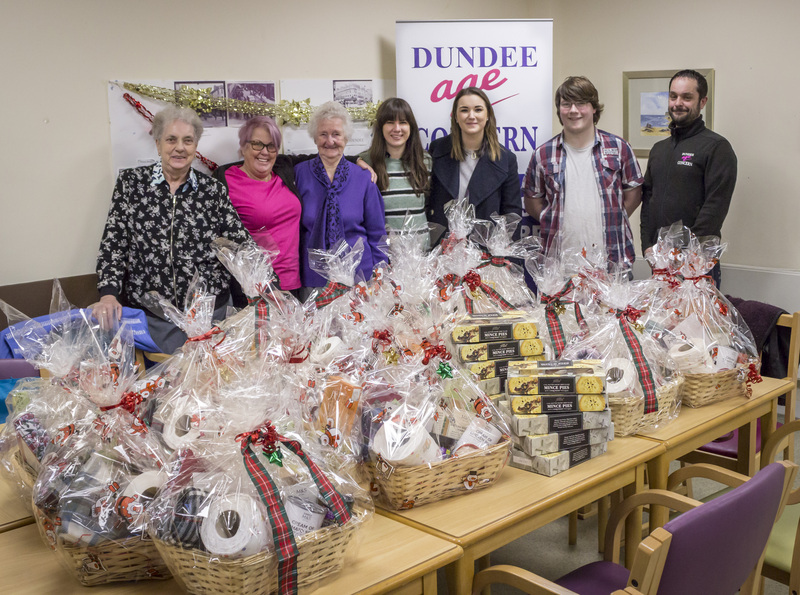 Kylie, Alex and Nathan from the Point Church Dundee delivered some fantastic Christmas hampers and mince pies for the clients yesterday; they were extremely conscious that some of the elderly across the city live on their own may not have anything this Christmas.